Hello friends! Today I have the other new Jenna Hipp Costco set -- The Brights -- to share with you! First up is Just One Bite, a warm red creme that leads just a touch orange. This is such a lovely bright, summer color! I used 3 coats here + topcoat. Next up is Jenna and the Giant Peach, a peachy orange creme. It is more peachy than orange - the shade pictures shows the color better. I used 3 coats plus topcoat here. Next up is Say Yellow to My Little Friend, a sunny yellow creme. I love this yellow! It is definitely pastel-leaning, but it isn't chalky or too white at all -- just the perfect yellow for me! This one was a little more streaky/sheer than the first two, which both had excellent formula, but still looked great in 3 coats and topcoat. Next is We Are Mint To Be, a lovely bright minty creme. I used 2 coats here (and topcoat) -- it was super opaque, but upon viewing my pictures I would probably use a 3rd coat, because even though it is opaque you can still see my ridges, which I don't like. Great color though! Next is I Surf With Boys, a teal/aqua blue creme. I used 2 coats and topcoat here as well -- but now that I look at pics I definitely should have used a 3rd, since it is a touch patchy. Another pretty one though! Reminds me a bit of China Glaze For Audrey or even Too Yacht to Handle. Next is Ain't Life Grape?, a pinky purple creme. I love this kind of purple! I again only used 2 coats and topcoat here, but this time I don't think it turned out too patchy or ridgy at all -- weird. Won't complain about an excellent formula though! Next is Daft Pink, a warm bright pink creme. It is warm-toned, but not nearly as much as my pictures suggest - it is definitely pink, not coral. 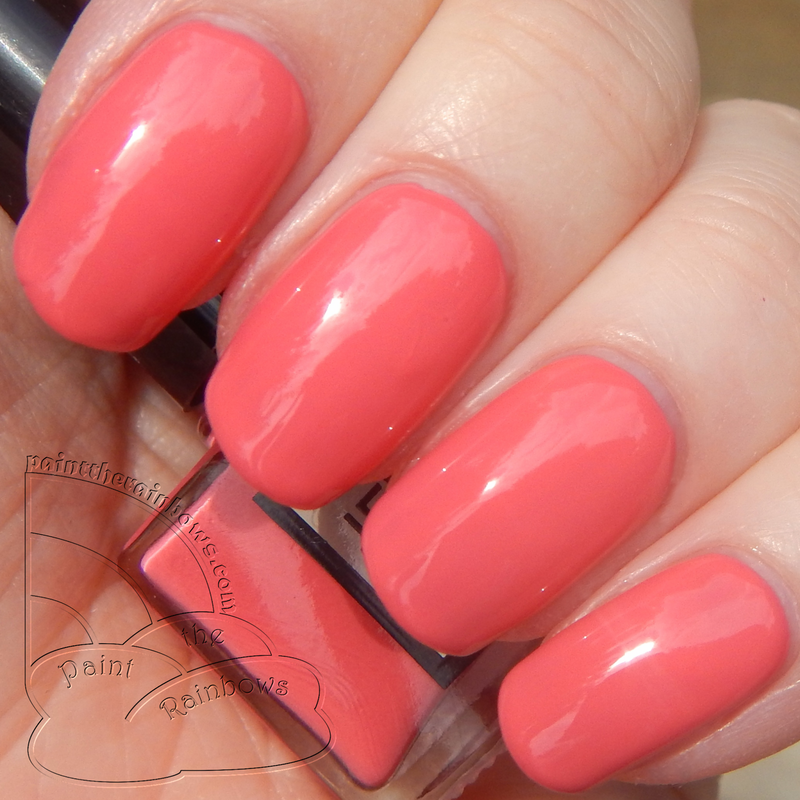 Very pretty shade though, pretty much my favorite shade of pink, very summery! I used 3 coats and topcoat. Last of all is I Put a Spell on Blue, a super dark navy jelly/creme. It definitely wasn't straight creme, but it wasn't quite as sheer and squishy as a jelly either -- and yet, I don't think crelly is the correct terminology either, lol. It had great formula though and was super shiny! I used 2 coats plus topcoat. And that's that! Again, I was very happy with all of these polishes -- great formulas and lovely colors, what more could you want? (A great price, you say? Got that too! Only $8 for the entire set!) I would have to say that after playing with these two sets from Jenna Hipp, I definitely hope I get a chance to try more of her polishes in the future!